Reading the Bible is one of the most important disciplines for Christian growth, but for many believers Bible study can evoke an array of emotions-from awe to frustration to agony. The numerous translations, parables, types, and shadows add further dismay. Author and Bible teacher Charles Green says that studying the Scriptures doesn't't have to be intimidating. Green covers topics spanning the covenant of Abraham, the ministries of the church and the gifts of the Holy Spirit. The Revelation of God and His Word will appeal to anyone seeking a greater understanding of the God's written Word. Green drafts the book in an easy-to-read style, presenting the Scriptures in layman's terms for people of all walks of life and educational backgrounds and providing footnotes to key Scriptures under each subject. Among the many topics covered are: The bible and the Theory of Evolution Angel and Demons The Baptism of the Holy spirit The Revelation of God and His Word is a must-read for pastors, leaders, and anyone else who wants to uncover the mysteries of the Bible. An ideal reference tool for individual Bible study or cell groups. Charles Green is the president of Harvest Ministries to the World and the founding pastor of Faith Church, New Orleans, Louisiana, a church that grew to over 3,000 people under his leadership. As a member of the board of regents of Oral Roberts University in Tulsa, Oklahoma, Green now serves as chairman of the executive board. He was also one of the founders of the Network of Christian Ministries and served the first five years as chairman of the executive board. He and his wife, Barbara, have two adult children, Michael Green, who now serves as senior pastor of Faith Church in New Orleans, and Cynthia Green Crider, also his executive assistant. They have two grandsons-Geoffrey and Tyler Green. 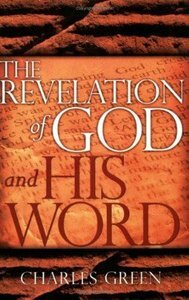 About "The Revelation of God and His Word"
Charles H. Green is president of Trusted Advisor Associates, specializing in helping Fortune 500 business improve their trust-based relationships and business development skills.